এক্সো "MAMA" Powers. I changed some of their official power names. LuHan from telepathy to TELEKINESIS, ChanYeol from flame to FIRE, and SeHun from wind to air. 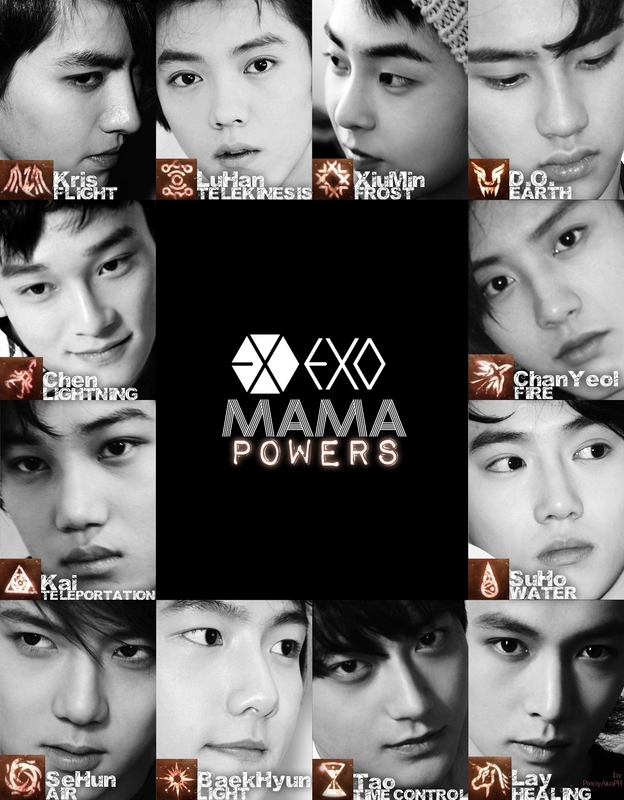 HD Wallpaper and background images in the এক্সো club tagged: exo exo-m exo-k powers power mama symbols symbol. This এক্সো fan art might contain প্রতিকৃতি, ধনু, and চতুর. i like their power symbols..